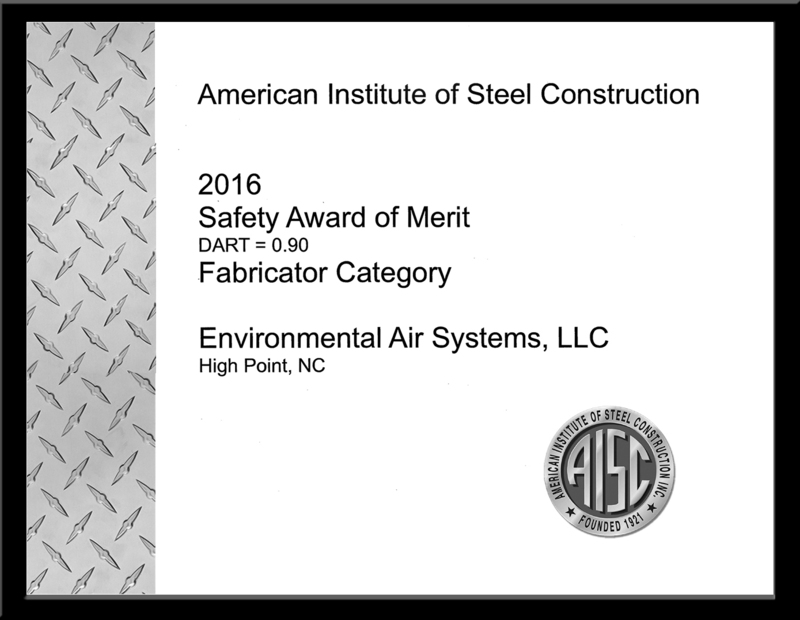 February 23, 2017 – EAS has been named a recipient of the American Institute of Steel Construction’s 2016 Safety Award. The AISC’s annual Safety Awards program recognizes excellent records of safety performance, and is designed to commend facilities for their effective accident prevention programs. EAS was a winner in the Fabricator category. The American Institute of Steel Construction, headquartered in Chicago, is a non-partisan, not-for-profit technical institute and trade association established in 1921 to serve the structural steel design community and construction industry. AISC’s mission is to make structural steel the material of choice by being the leader in structural steel-related technical and market-building activities, including: specification and code development, research, education, technical assistance, quality certification, standardization, and market development. AISC has a long tradition of service to the steel construction industry of providing timely and reliable information.